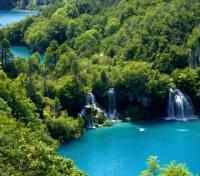 Walk the curved wooden pathways through Plitvice Lakes National Park. 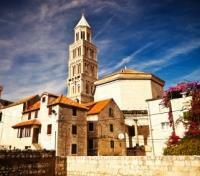 Private guided walking tours of Split, and Dubrovnik with its medieval city walls. 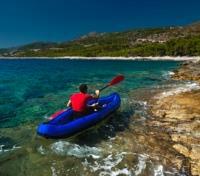 Go sea kayaking on the Adriatic. Sip regional wines on a wine tasting excursion. Selection of premium accommodations throughout. Croatia's stunning natural beauty and rich cultural history is on full display on this tailor-made journey down the Adriatic coast. 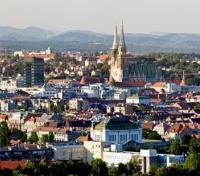 Arriving to Croatia’s lively capital, Zagreb, you’ll begin your journey toward the coast, with a visit en route of the country's majestic Plitvice Lakes National Park, where you can walk on wooden bridges through lush greenery surrounded by stunning aquamarine waters, and picturesque waterfalls. 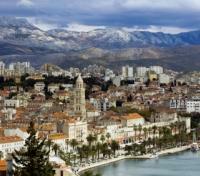 Arriving to Split, you'll meet with a private guide and explore the old city, home to the UNESCO World Heritage listed Diocletian's Palace. From Split, travel to the island of Hvar, from where you'll embark on a sea kayaking excursion into the waters of the Adriatic. 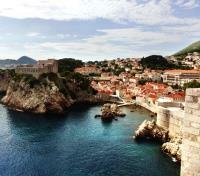 Take to a renowned winery for a meal and wine tasting en route to Dubrovnik, where you'll explore the medieval old town with a private guide. Walk the iconic medieval city walls, meander charming lanes winding through the core, and imagine a time when life was this different. Welcome to Croatia. Enjoy your private airport transfer to your hotel with vehicle and driver. For your added comfort, an English speaking guide will help you to check in and walk you through the welcome package documents, your itinerary and answer your questions. 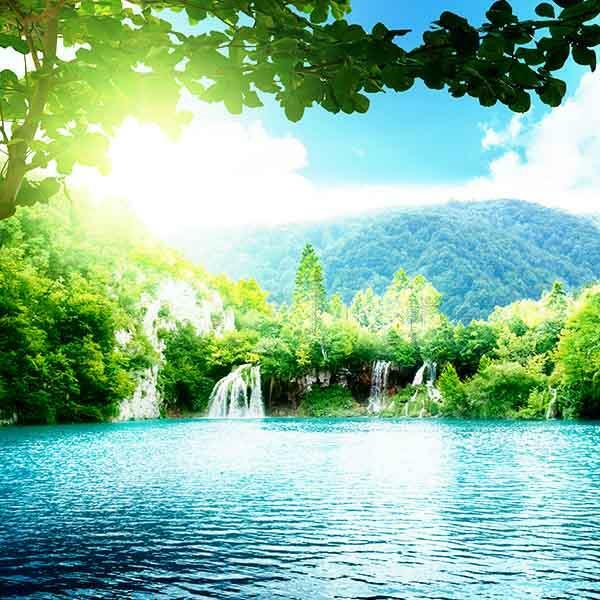 Enjoy a private transfer from Zagreb to Split with a guided 4-hour stop at Plitvice Lakes, a complex of 16 lakes located between the mountains of Mala Kapela. The 19.5 hectares of wooden hills enclose the lakes by a series of waterfalls and cascades. Admire the landscape formed by the mineral-rich waters that carve new paths through the rock, and enjoy your time in the middle of nature. You will meet your local guide at the park before entering. Entrance fees are included. 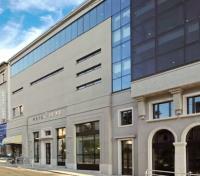 Hotel Luxe is situated in the very centre of Split on one of its main streets. They are just steps away from ancient and cultural monuments, including the 1700 year-old historic core of the city, a UNESCO World Heritage Site. 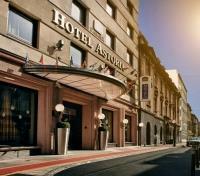 The hotel’s ideal location guarantees easy access to all important parts of the city. Within walking distance is the famous Diocletian Palace as well as the bus terminal, railway station, and the ferry. 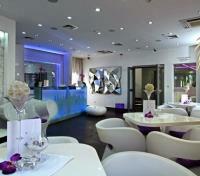 The hotel is also just a short walk from the city’s most popular sandy beach, Bacvice and its blue clear sea. Split’s wonderfully forested park, it's "green soul", Marjan Hill is also just a short stroll through the Varos section of the city that begins at the end of the waterfront Riva. Enjoy a private port transfer with vehicle and English speaking driver. Board a shared transfer by catamaran from Split to Hvar. Approximate travel time is 1 hour. Enjoy your private transfer with vehicle and driver. The Amfora Hotel is tucked away in a tranquil bay, surrounded by a lush pine grove, and only a short ten minute walk from the historic city of Hvar. 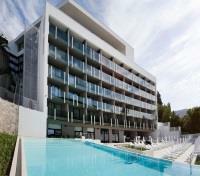 This grand beach resort is the most exciting beach resort in the Adriatic. Its contemporary designed rooms with breathtaking views of the Paklinski Islands, spectacular cascading pool with a lounge area, and diverse amenities make this unique self-contained destination resort ideal. The exclusive and luxurious beach club Bonj Les Bains is located within the resort, with private cabanas, massages in the Sensori Spa wellness centre, sunbeds, and a beach bar and restaurant. Enjoy a shared kayaking adventure of the Pakleni Islands. Kayaking on the Adriatic Sea towards Pakleni Otoci is a unique way to experience this beautiful place and discover the islands, inlets, and hidden beaches. A swimming and snorkeling break is made on one of the islands in a bay called Zdrilca where you can also drink coffee or just enjoy the sun. Previous paddling experience and supreme physical condition are not necessary for this tour. Included are the instructor and equipment. Meet your driver for a private transfer to Dubrovnik via Rizman Winery with wine tasting. This beautiful winery is located on a hilltop, overlooking Peljesac peninsula and surrounding archipelago. Today you will be able to taste their five premium wines accompanied with traditional snack consisted of rewarded domestic products. After the wine tasting, you will continue to Dubrovnik. 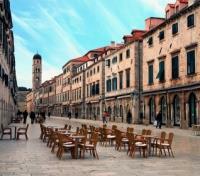 Hotel Kompas is located 4Km from Dubrovnik’s magnificent medieval Old Town city centre. It is poised adjacent the beachfront of exquisite Lapad Bay and its famous tree-lined promenade called Uvala. The property features 173 guestrooms each tastefully decorated, spacious with balconies overlooking the Lapad Bay. Dine onsite at the Sphere Restaurant & Lounge and refresh yourself with a drink at Zenith Bar and the Luna Bar, next to the beautiful outdoor swimming pool. Visit the hotel’s wellness & spa to rejuvenate and relax.